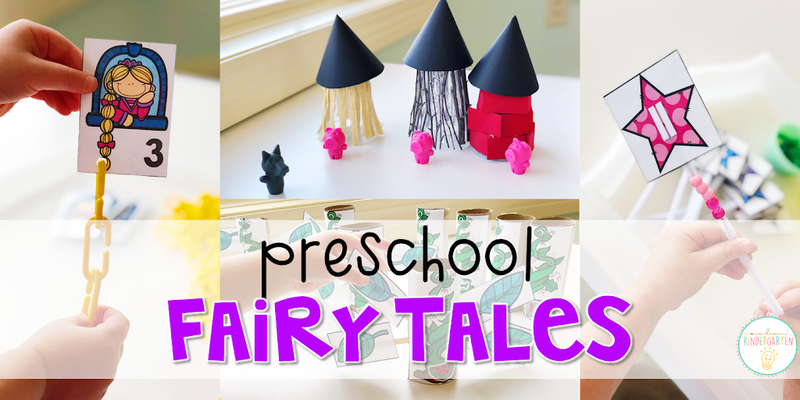 Fairy tales are a perfect springboard for little ones imaginations. 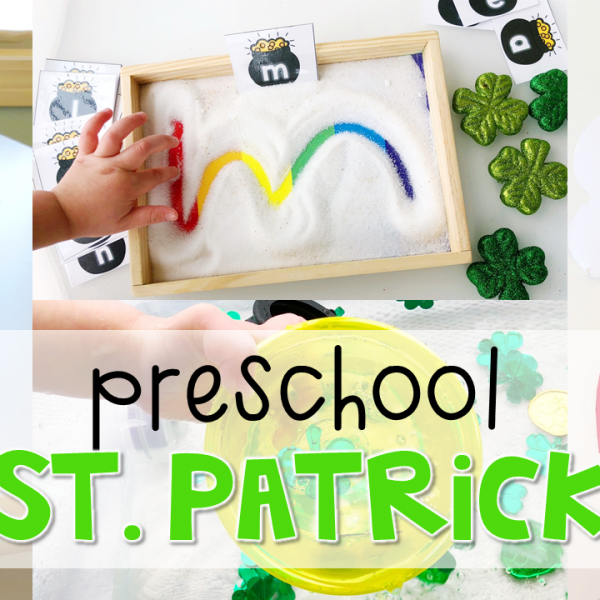 We just returned from a family trip to Disney so there could not be a more perfect time to explore queens, kings, princesses, witches, dragons and more with this theme! 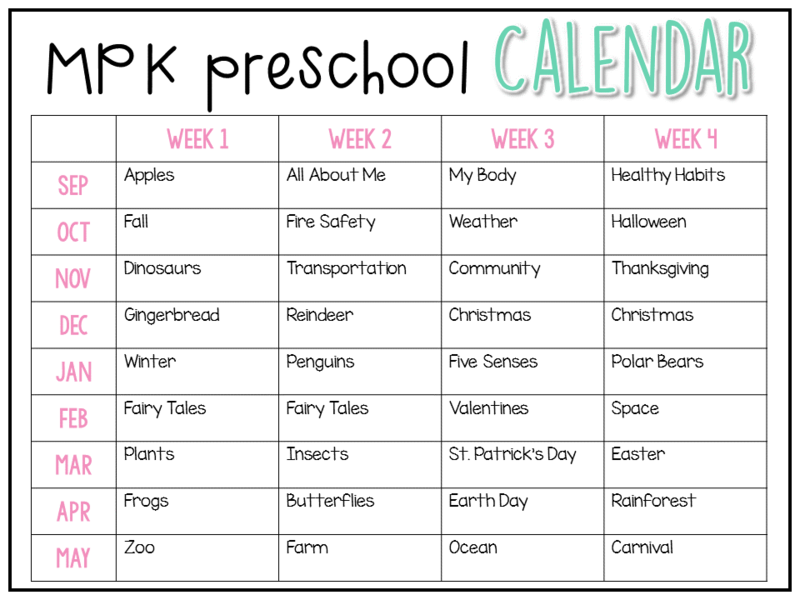 There was just way too much fun to pack into one week so we split our fairy tale theme into 2 week just like we did with Nursery Rhymes for the tot school crowd. 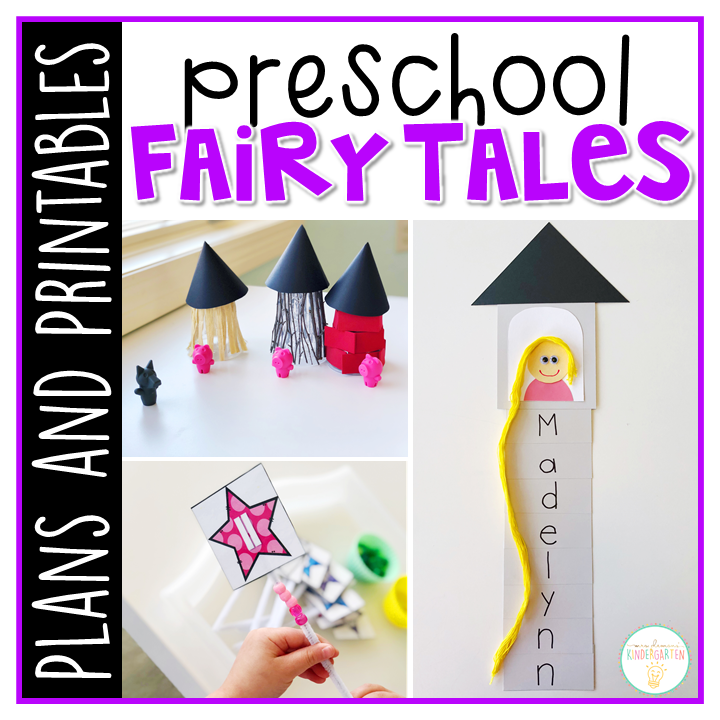 Every day of our Fairy Tales theme we focused on a new fairy tale. 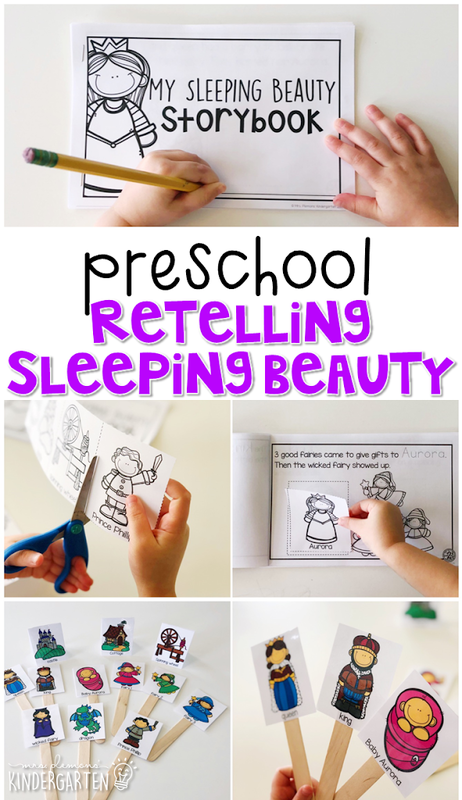 We began each day reading one version of the story, making our own little simple story book, then retelling the story with puppets. 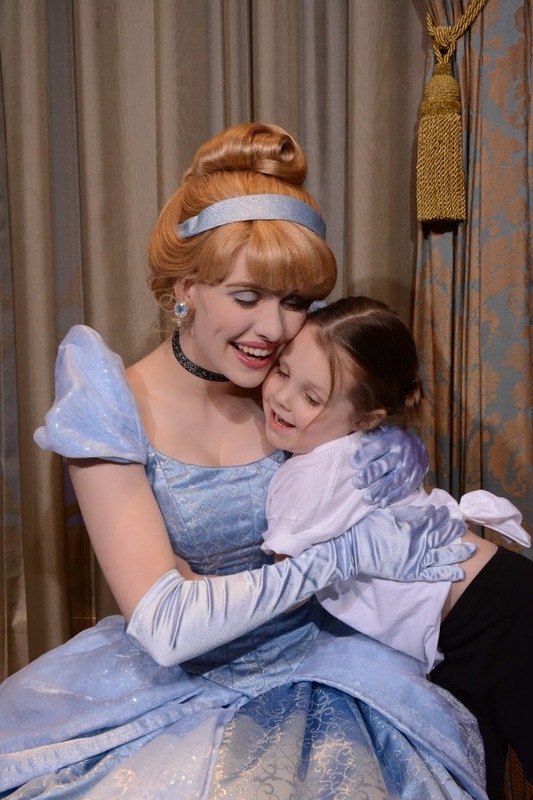 Like I said we just returned from a magical trip to Disney world so we had to start with the most magical of all the princess stories, Cinderella. We chose to read the Disney version of Cinderella because the pictures in the book are gorgeous, taken right from the movie. 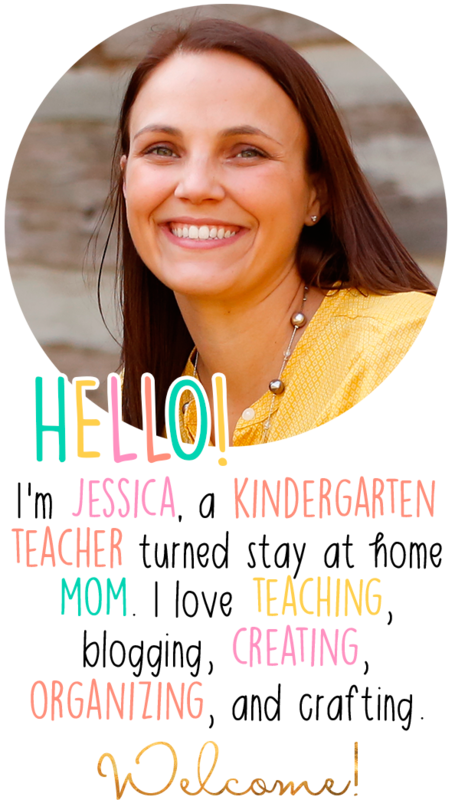 The illustrations alone will likely be enough to hold your little one’s attention, however it is a bit long if you have non princess obsessed kiddos. You can really use any version of each of the fairy tales as the focus for the day. 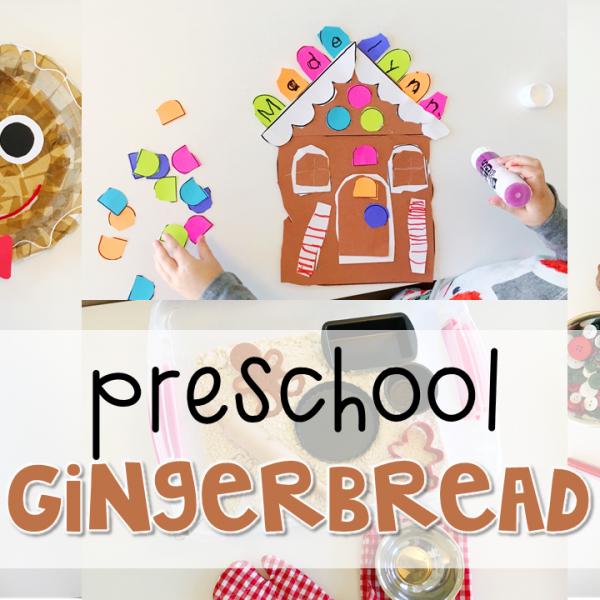 The simple storybook and retelling puppets just might not match up exactly. After reading I created a simple storybook that Madelynn used to cut and paste characters, trace words from the story, and color each part. 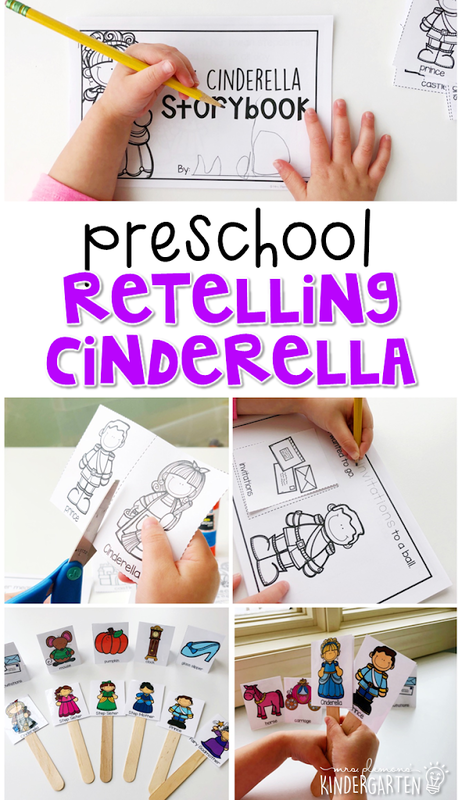 This book was a perfect way to review the main events in the story before retelling with our puppets. 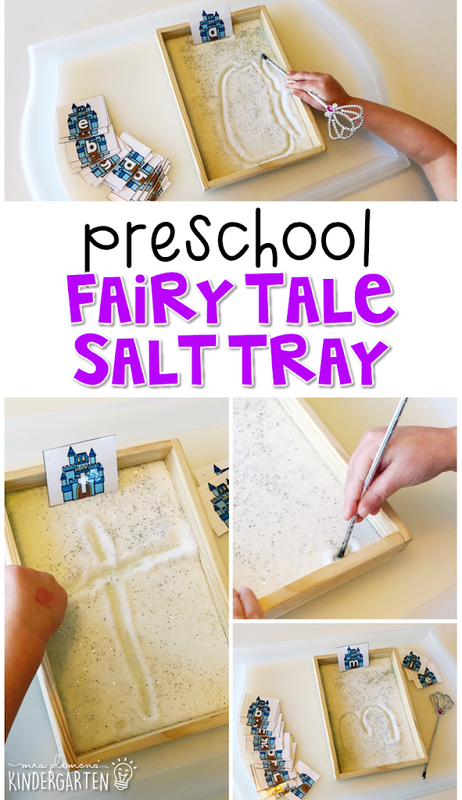 Our first literacy activity this week was a fairy tale themed salt tray. 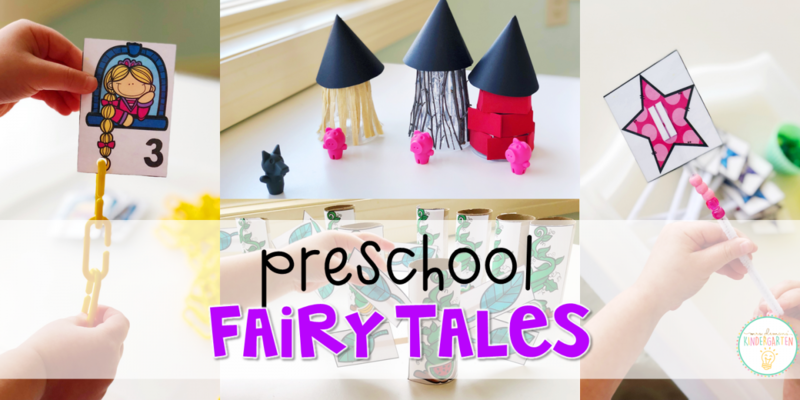 To make this fun fairy tale salt I mixed 1/2 cup salt with 1 tsp of silver glitter. 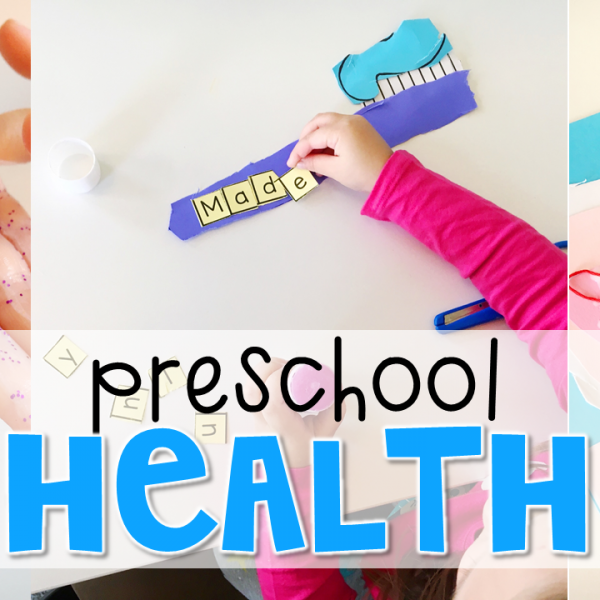 Madelynn used castle letter cards as a model and chose which ones she wanted to practice. 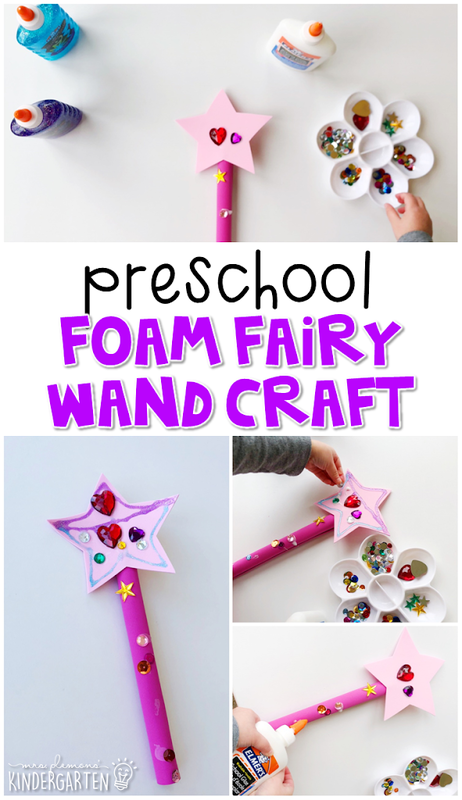 To add a bit more fun, we used a princess wand for writing letters too. 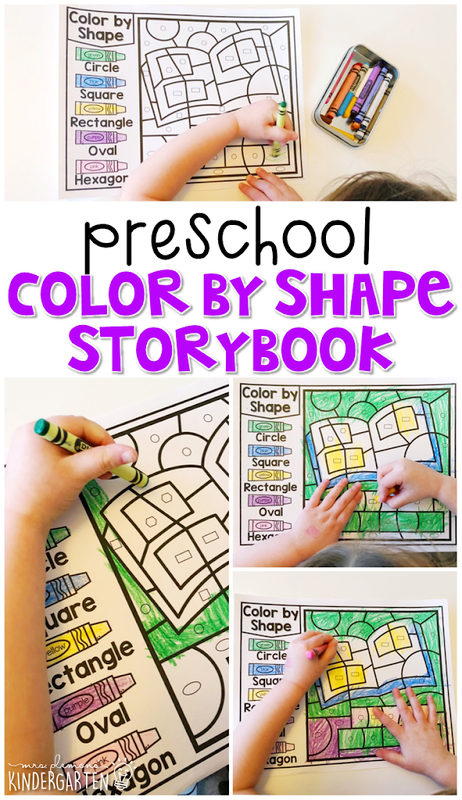 We worked on identifying shapes for our color by the code activity this week. Madelynn worked on identifying and naming 5 basic shapes. I told her the color for each shape and she had to search and color each one in the picture. 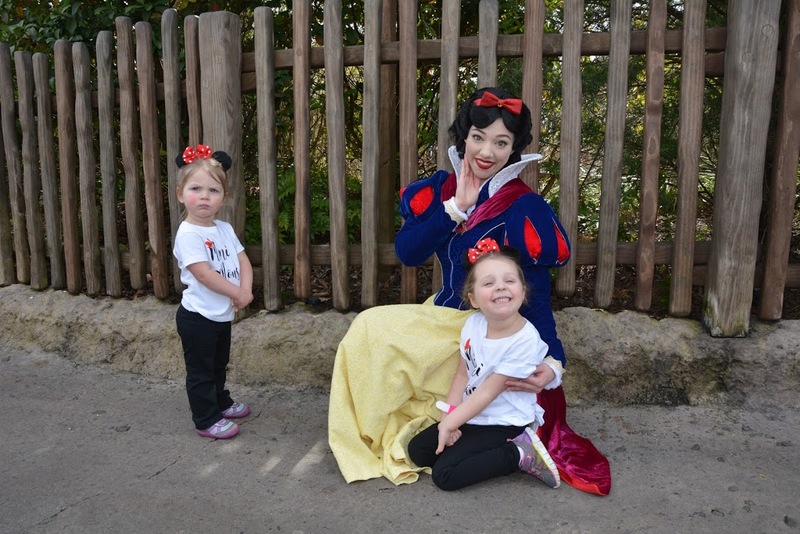 Our next story was another princess favorite, Snow White. 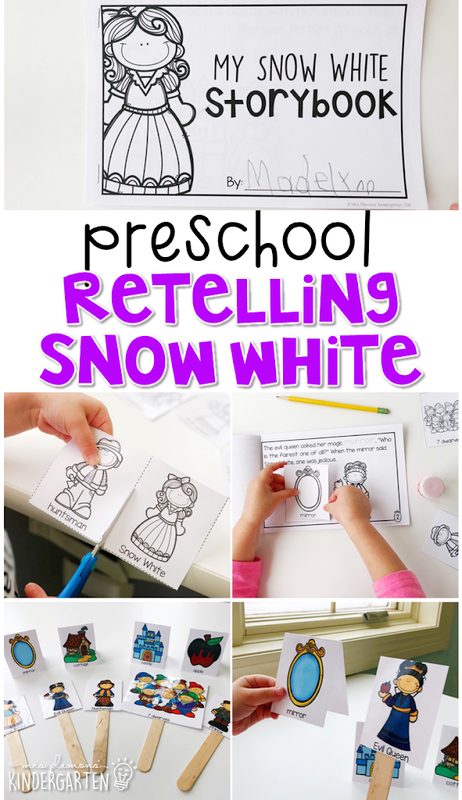 Again we chose to read the Disney version of Snow White, but feel free to choose any version you and your kiddos like best! 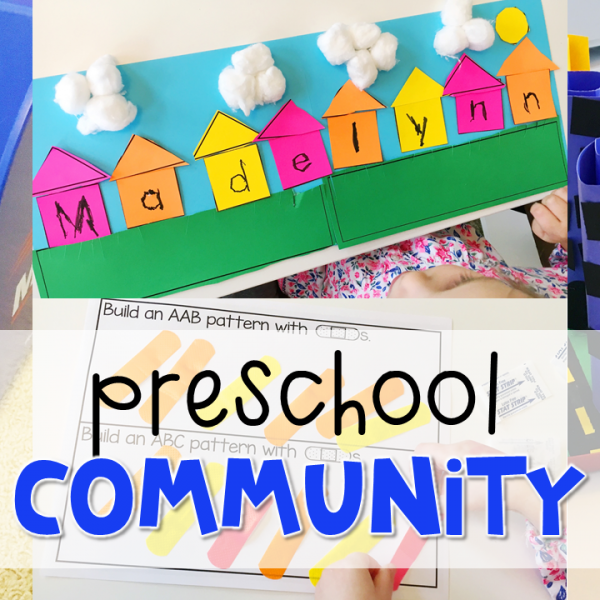 After reading, Madelynn completed her simple storybook with cut and paste characters, tracing words from the story, and coloring each part. After reviewing the main events in the story we used our puppets to retell the story. Next, for more letter practice we used our dot stampers. We started out stamping inside the letter to make a Q. 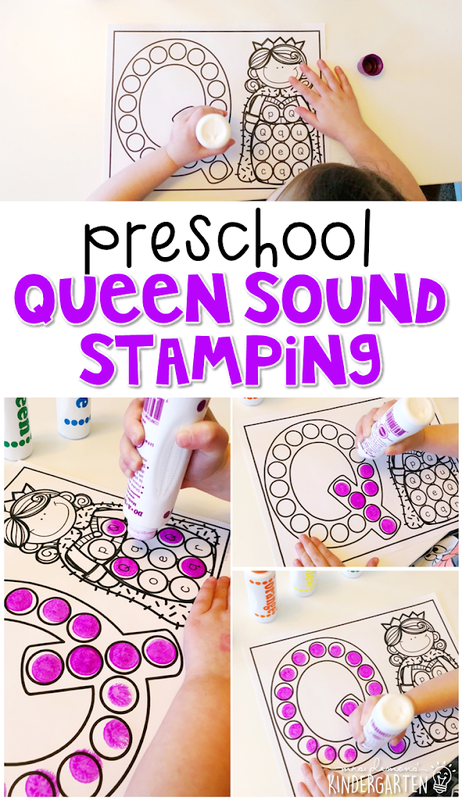 Then Madelynn had to find the upper and lowercase q’s in the queen, stamp them and make the “Q” sound each time. Then she stamped the other letters different colors and tried to make the sounds for each one. For our math activity, we focused on identifying numbers 1-30. I printed apple cards with the numbers on them and lined them up in a pocket chart. Then I also printed 2 small poison apples and hid them behind 2 numbers. Then we played this game two ways. 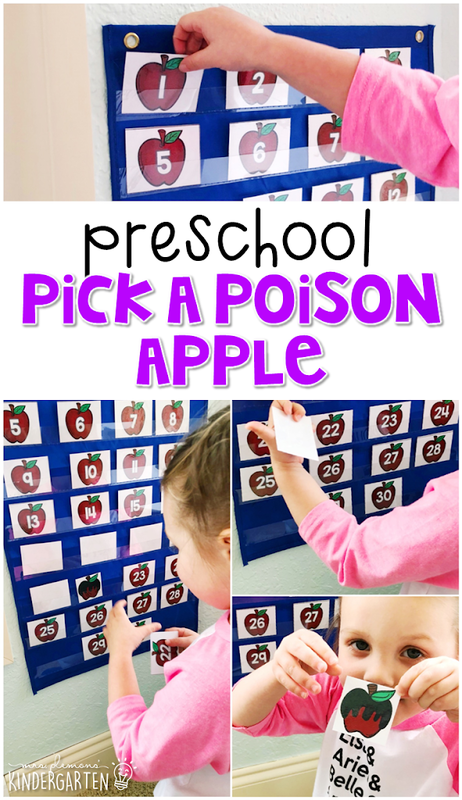 First I called out a number, Madelynn had to find it and turn it over to see if there was a poison apple behind it. Then we played again and she named a number, turned it over, and tried not to get poisoned. Of course in true dramatic preschooler fashion she faked her own death after finding each one. 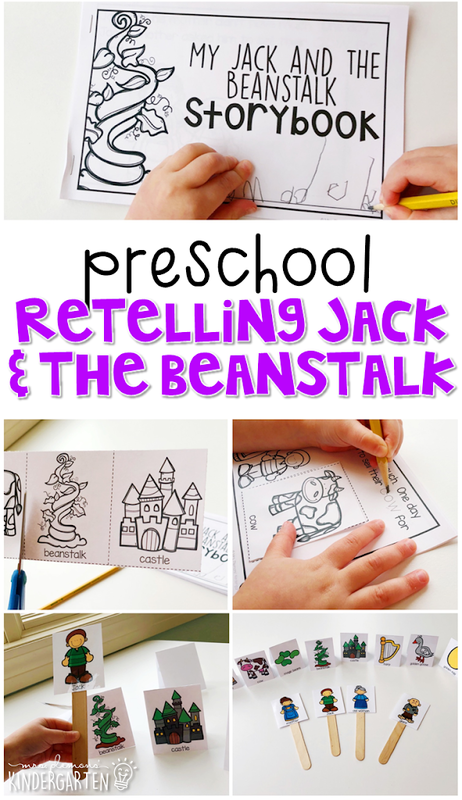 Our next story was Jack and the Beanstalk and we chose this fun lift the flap version by Samantha Berger. After reading, Madelynn completed her simple storybook with cut and paste characters, tracing words from the story, and coloring each part. After reviewing the main events in the story we used our puppets to retell the story. This week we worked on counting syllables with these toilet paper tube beanstalks. I taped beanstalks to tp tubes, then cut slits on both sides. 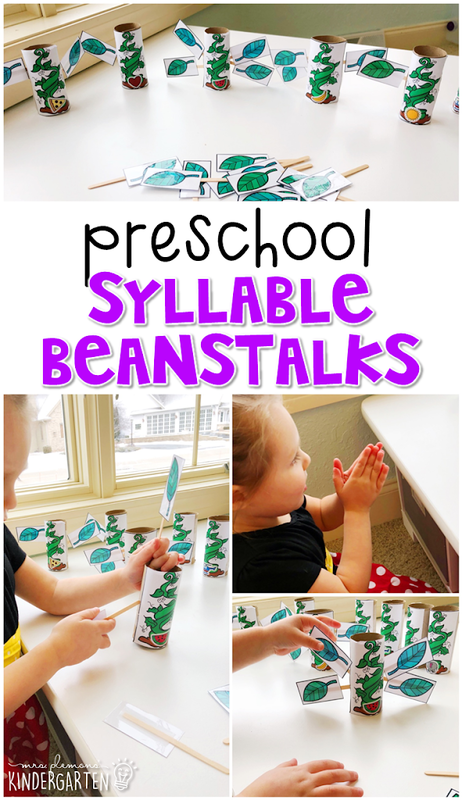 Madelynn identified the picture, counted the syllables, then added that number of leaves to each beanstalk. For math, we combined gross motor and counting with this build a number beanstalk. 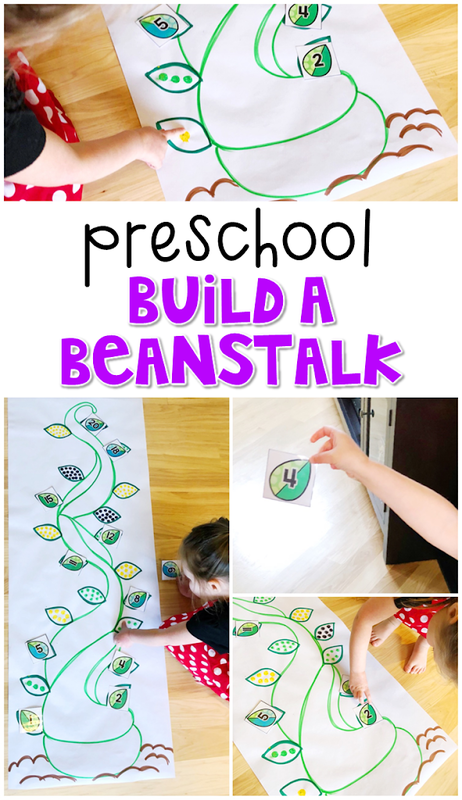 I drew a large beanstalk on a roll of paper and laid it on the floor. On each leaf I stamped dots with our mini dot stampers. Madelynn searched the room to find leaves with the numbers 1-20 on them. After finding each one, she had to find the match on the large beanstalk. 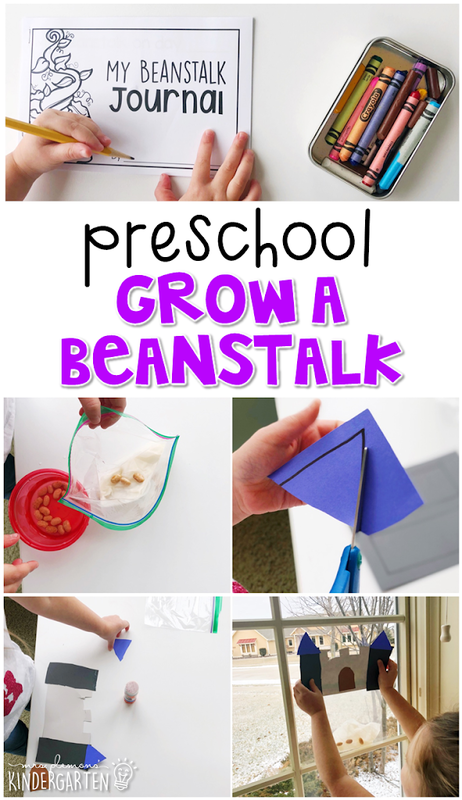 For science this week we grew a “magic beanstalk” with this a fun twist on the grow a bean in a bag activity. First Madelynn cut and glued a castle together, then we attached it to a ziploc bag. I soaked a few pinto beans overnight, then Madelynn placed them in the bag with a wet paper towel. She taped her bag to a sunny window without closing it at the top. 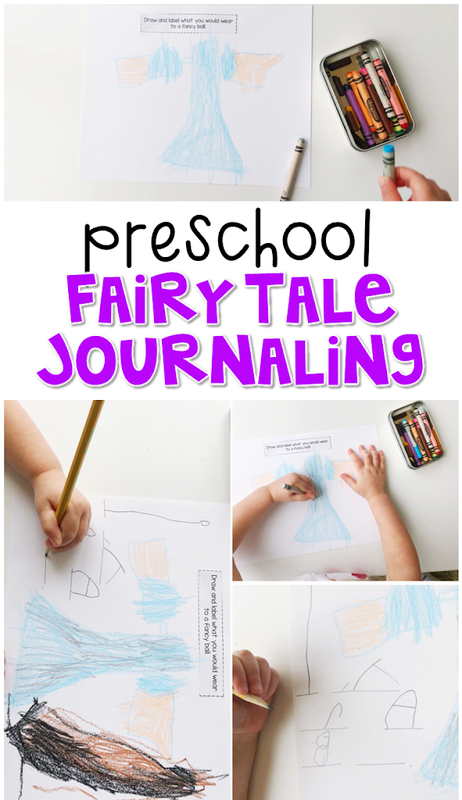 Every day we observed the bag and she drew what her “beanstalk” looked like in a journal. And we’re back to Disney with another princess favorite, Rapunzel. 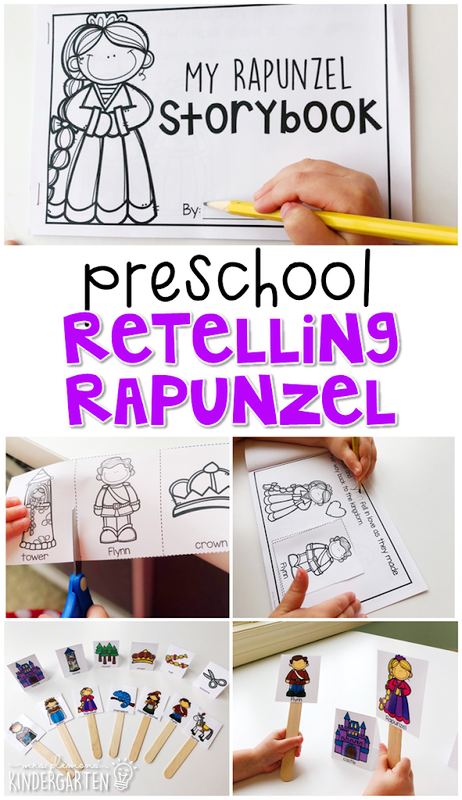 Again we chose to read the Disney version of Rapunzel, but feel free to choose any version you and your kiddos like best! After reading, Madelynn completed her simple storybook with cut and paste characters, tracing words from the story, and coloring each part. After reviewing the main events in the story we used our puppets to retell the story. 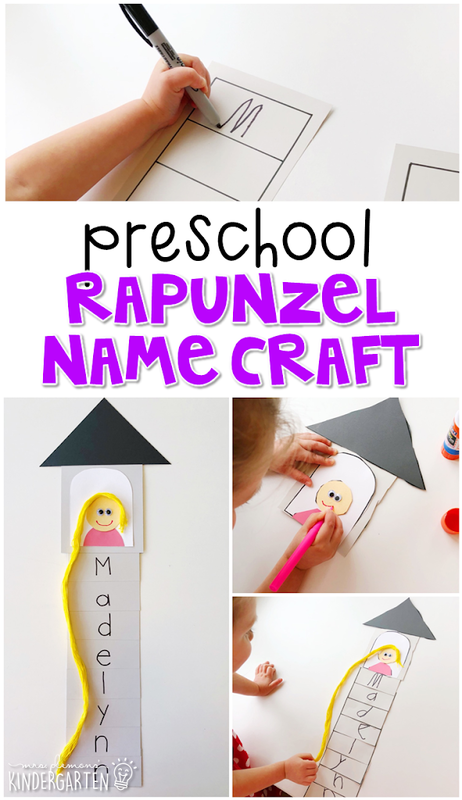 For this week’s name craft we created this Rapunzel’s tower craft. First Madelynn cut the princess and tower pieces out. Then she wrote the letters in her name on each piece of the tower. 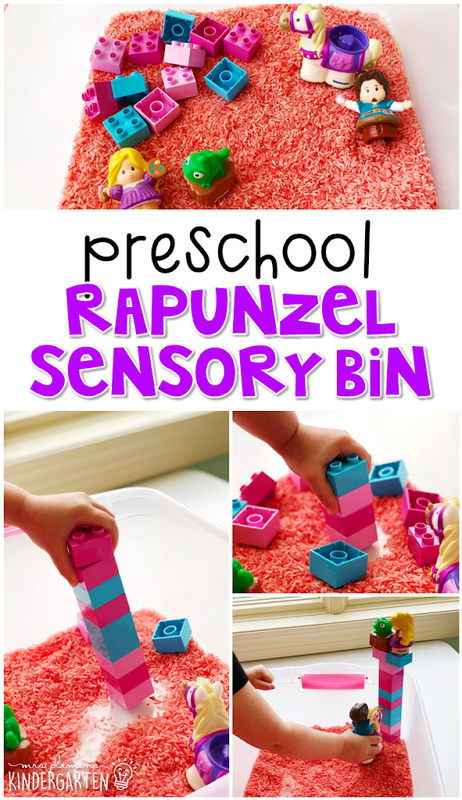 After she finished writing, she glued Rapunzel and the top of the tower together. Then she added the tower pieces in order to spell her name. Finally she drew a mouth, added googly eyes to the face, and yellow yarn for hair. The most iconic part of the Rapunzel story is of course her long blond hair. 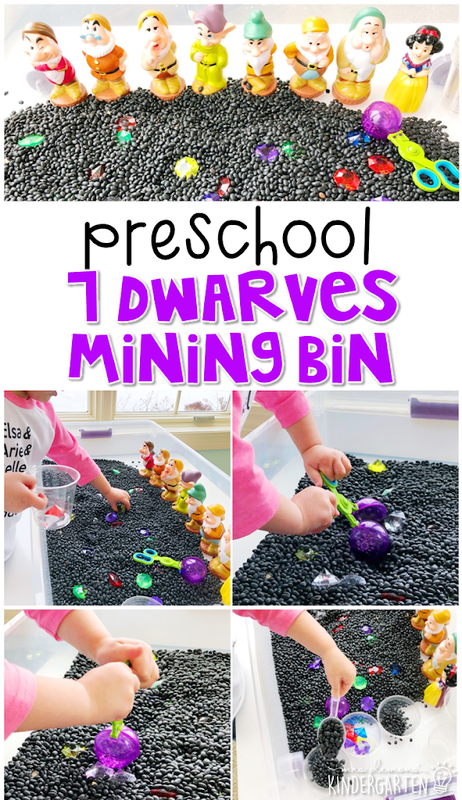 So for this counting practice math activity I made link cards with the numbers 1-20 on them and punched a hole in the bottom of each. Madelynn counted and attached yellow links to create Rapunzel’s long braid. Madelynn used the blocks to build a tower for Rapunzel, then used the figures to pretend and play. 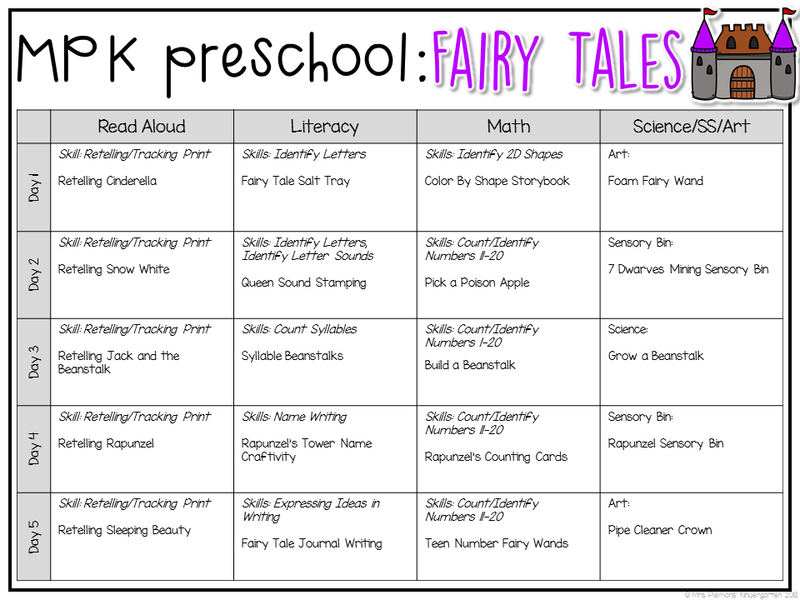 And our last fairy tale for the week was Sleeping Beauty. 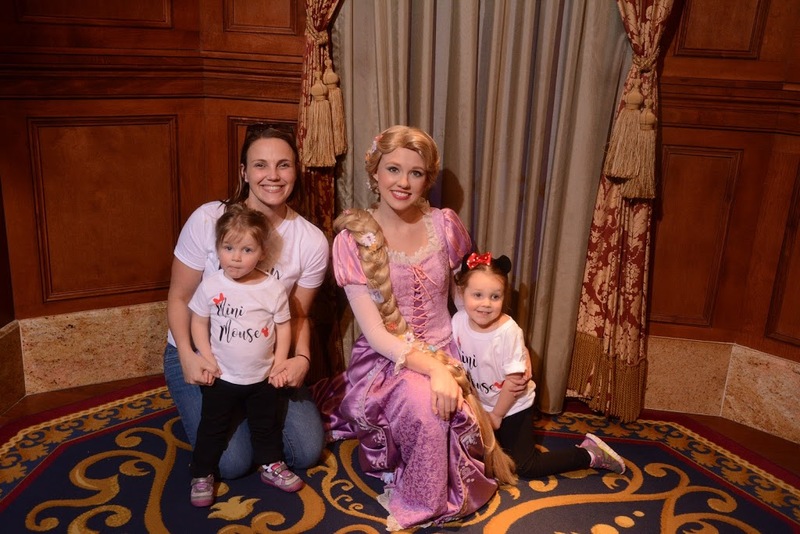 We had to squeeze in just one more princess, and we read the Disney version of Sleeping Beauty, but feel free to choose any version you and your kiddos like best! After reading, Madelynn completed her simple storybook with cut and paste characters, tracing words from the story, and coloring each part. After reviewing the main events in the story we used our puppets to retell the story. 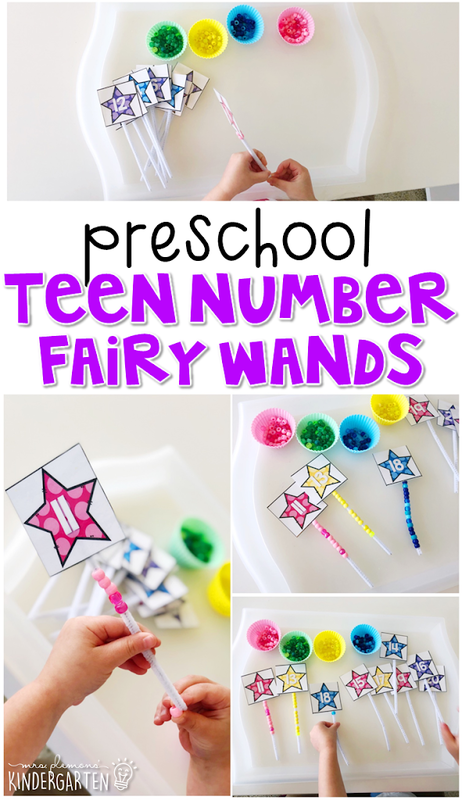 These little fairy wands were the favorite math activity of the week for sure. I printed and attached number stars to pipe cleaners and set up containers of pony beads. Madelynn counted out beads to add the correct number to each wand. Afterwards I twisted the bottom to keep the beads on and we added the wands to our pretend play area. 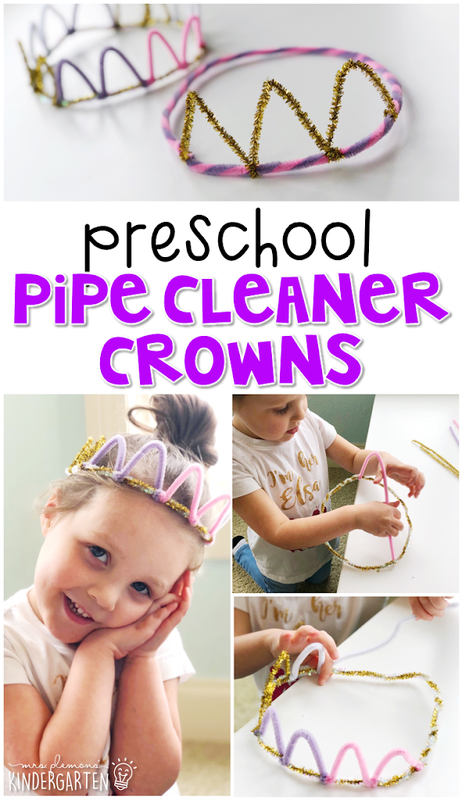 We have the wands, but no princess would be complete without a crown, so our last project of the week was to make a pipe cleaner crown. Madelynn chose colors to make a circle first then bent small pieces around the circle to create the triangles on the top of the crown. 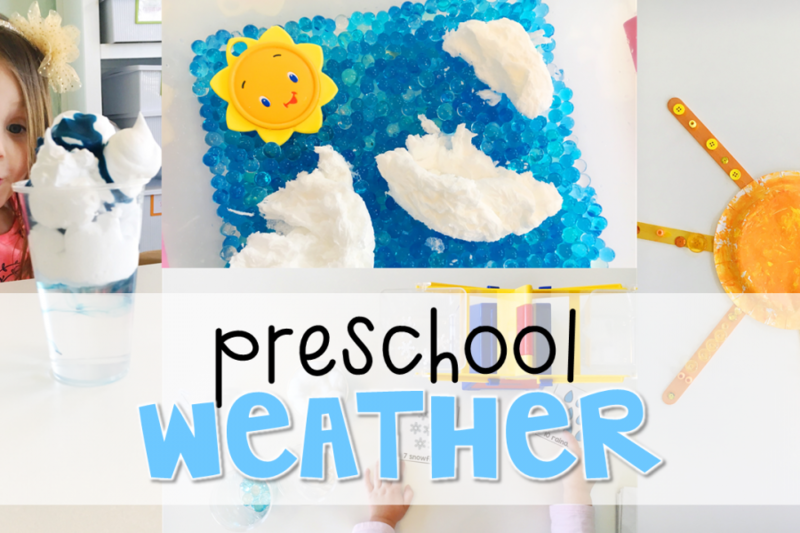 Easy and adorable. 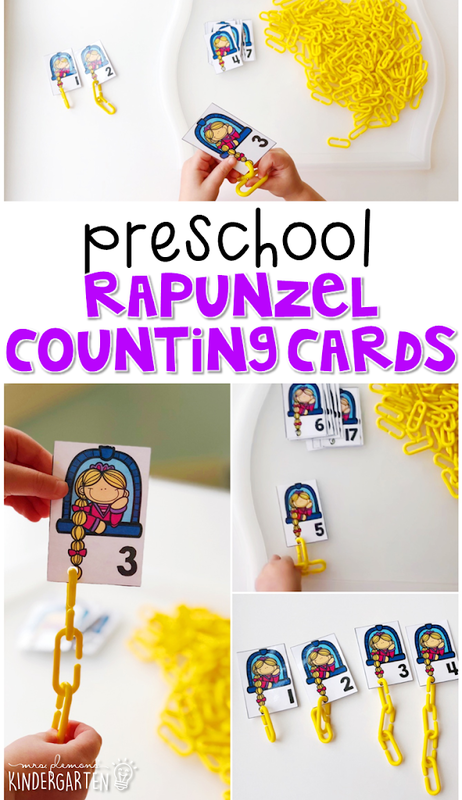 Is there a chance that you can share your Rapunzel counting card design with me? I’d love to use it but can’t find a template as good as yours. I love all your ideas! Is there a way to download just the King and Queen Dot marker pages? Sorry, I do not have single elements from my units available at this time. 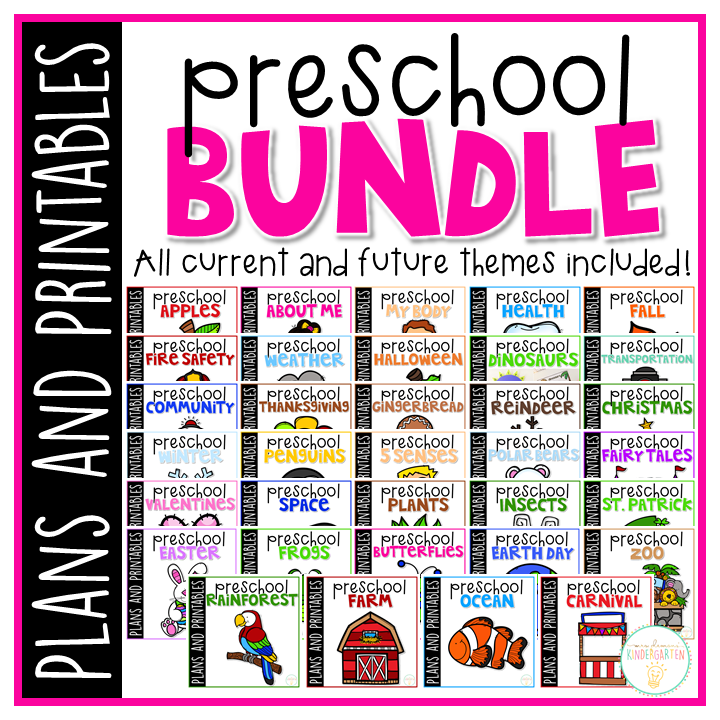 I only have the printables available in the full unit plans.